Get cast in “Shameless” season 7. The upcoming 2016 / 2017 season of the Showtime dramady is beginning production in the Chicagoland area and now casting local talent who would like to work as paid background actors on the show. 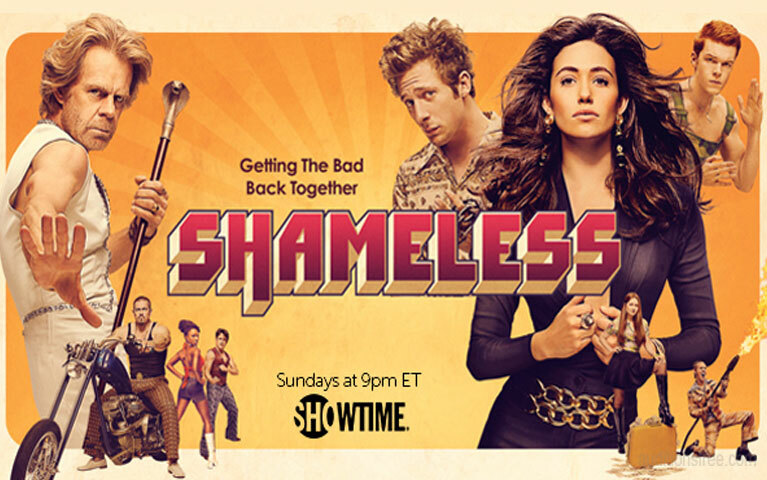 Oscar nominated William H. Macy and Emmy Rossum are returning for season 7 of Showtime’s “Shameless.” Showtime announced some 7 months ago that “Shameless” will be returning for a 7th season. Macy stars as Frank Gallagher, proud papa of 6 and the patriarch in a highly dysfunctional family. Unlike most families where the parent takes care of the kids, this one is flipped. Frank’s smart, independent children spend a lot of time taking care of him. In this family it’s the father spending what little money the group has… usually at the bar, though last season saw Frank embrace some sobriety. The renewal announcement came at the beginning of “Shameless” season 6 in which Fiona was given a new job… because she slept with the boss, Frank was working on being sober and Debbie was working through her teen pregnancy. But, this is the Gallagher family and things never smooth for long. Shameless is currently one of Showtime’s longest running shows. The “Shameless” cast also includes Justin Chatwin, Ethan Cutkosky, Shanola Hampton, Steve Howey, Emma Kenney, Cameron Monaghan, Jeremy Allen White and Dermot Mulroney. While the first 6 seasons of “Shameless” all premiered in January, it seems that season 7 will be premiering early. Currently (according to the show’s Wiki page), “Shameless” season 7 is set to premiere in mid October. Here is the availability form to work on SHAMELESS. We are currently casting the SEVENTH season of “Shameless,” which shoots Monday, Aug 22nd through Friday, Aug 26th. Please complete this form to submit your availability. To utilize this form, you MUST be currently registered with Atmosphere Casting. We do this to ensure that we have all of your information and pictures on file before we book you. If you just fill out this form and we have no information or pictures of you, we will not book you to work, so please make sure you are registered prior to submitting this form. For those interested in getting cast on “Shameless”, see this page for the form. Please note that the show films in the Chicago area and is only considering talent that are local to Chicago, Illinois. The show is also casting kids and teens for upcoming scenes. Here is the MINORS Availability Form (15 years old and under) to work on SHAMELESS. See this page. Be sure to also check out all the other shows that have casting calls out in the Chicago area. The official trailer for Season 6 of Shameless. Starring 2016 Emmy® Nominated actor William H. Macy and Emmy Rossum.